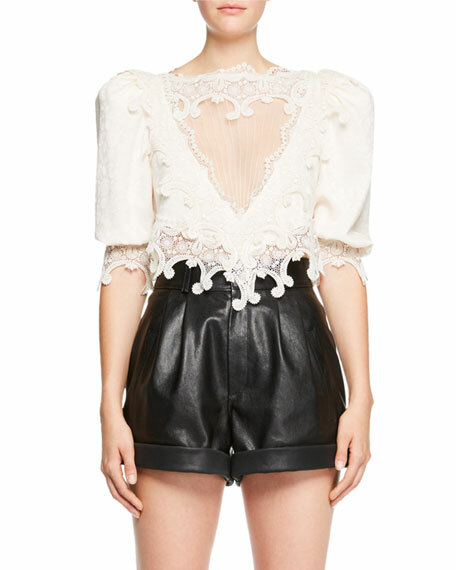 Saint Laurent jacquard silk top with crochet lace. High neckline with deep V illusion. For in-store inquiries, use sku #2460655. 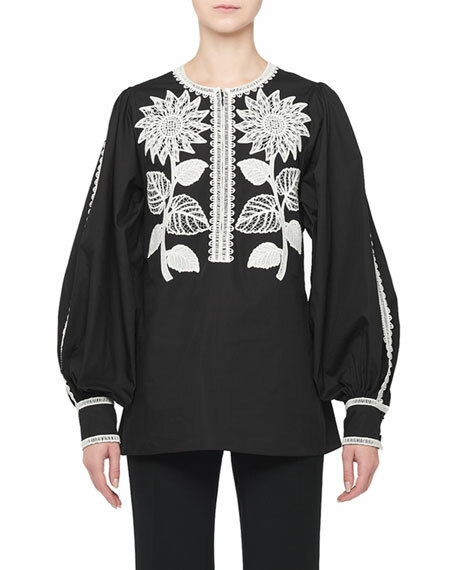 Andrew Gn cotton blouse with contrast sunflower embroidery. Crew neckline; hidden half zip front. Long bishop sleeves. Billowy fit. Silk. Made in Italy. 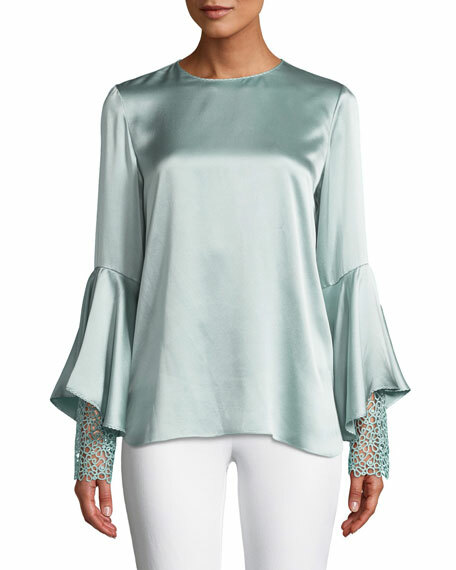 Elie Tahari "Kaia" blouse in luxurious silk. Round, high neckline; keyhole back. 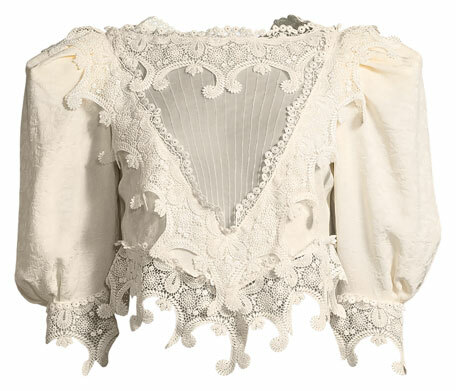 Long, flutter sleeves; sheer lace cuffs. Relaxed silhouette. High-low hem. Pullover style. Silk; dry clean Imported. 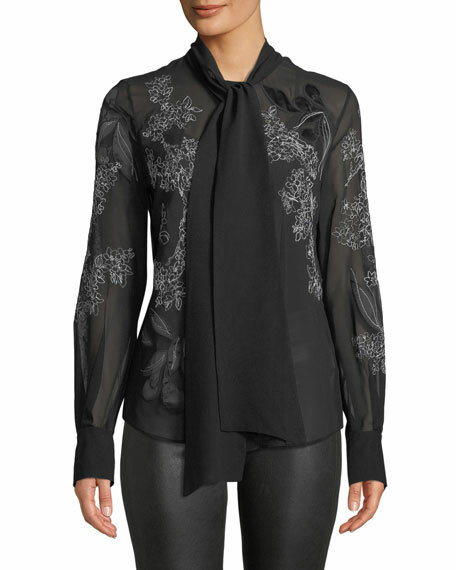 Lafayette 148 New York "Lisanna" silk georgette blouse with floral-embroidery. Sash-tie neckline. Long sleeves; button cuffs. Slim silhouette. Shirttail hem. Dry clean only. Imported.